Straight out of the Hannibal Lector fashion accessory department, our November 2015 Artifact of the Month is a c. 1927 Spalding No. NP Nose Protector. 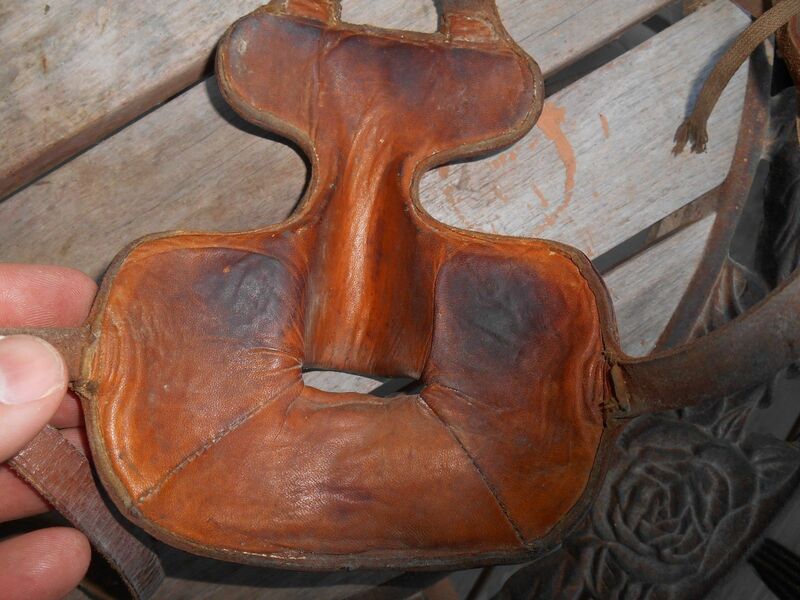 This example was listed on EBay on September 20th as an "Old Brown Leather Boxing Hockey Fighting Broken Nose Steampunk Face Mask" and sold for $256.00 on September 27th. 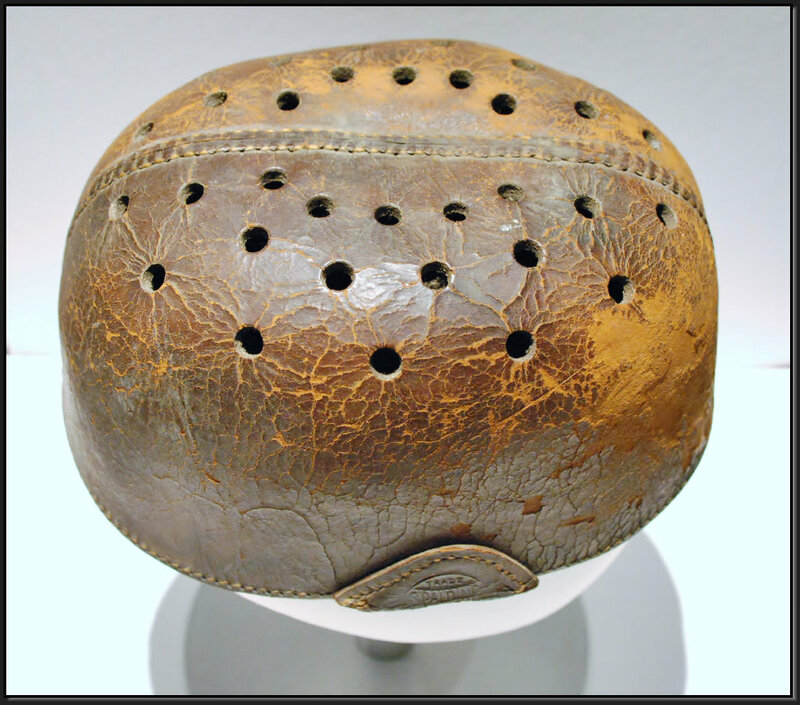 The winning bidder, recognizing it as a rare football nose protector, relisted it and sold it for a healthy 1,365% profit at $3,750.00 on October 15th. 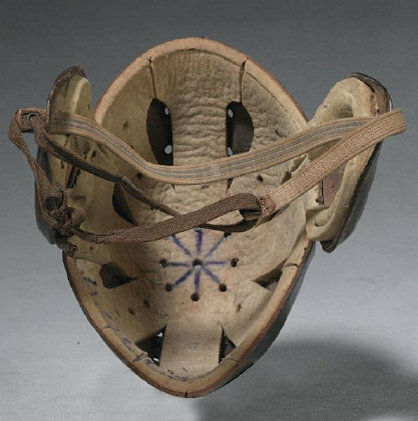 The first documented use of a nose protector in football occurred in 1889, when John Cranston of Harvard created a wire mask to protect his injured nose. 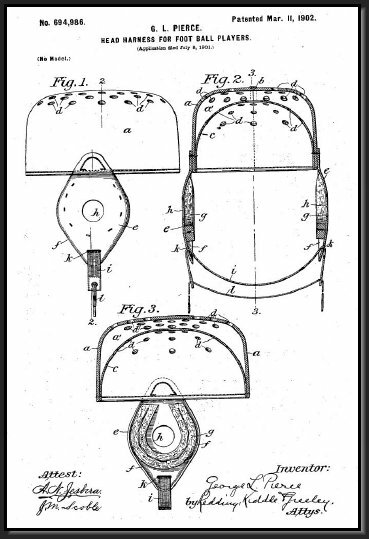 By 1891, John F. Morrill & Co. was mass-producing the rubber nose mask, based on Arthur Cumnock's patent. 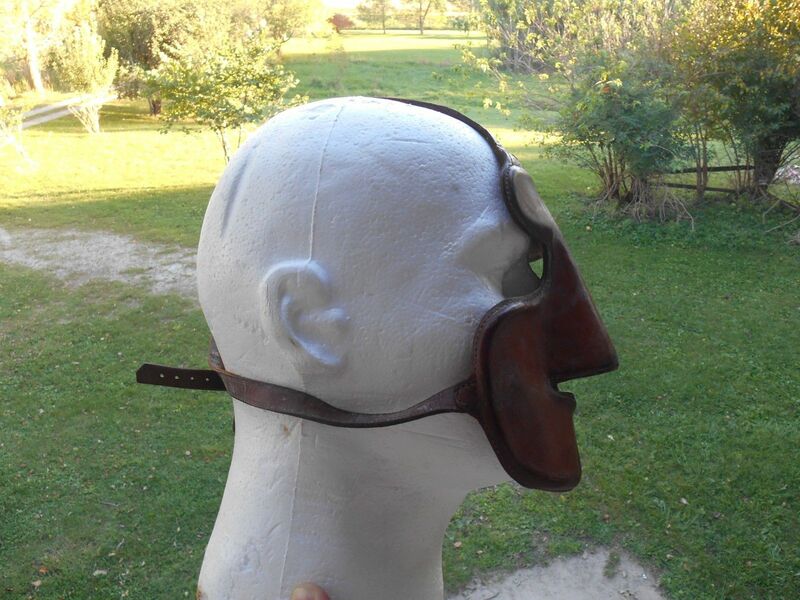 The rubber nose mask was the only nose and face protection available to football players for approximately 35 years, until molded leather and fiber face guards like the No. NP were introduced in the mid-1920's. No. ZHN advertisement, Spalding's Official Intercollegiate Foot Ball Guide for 1927. The No. 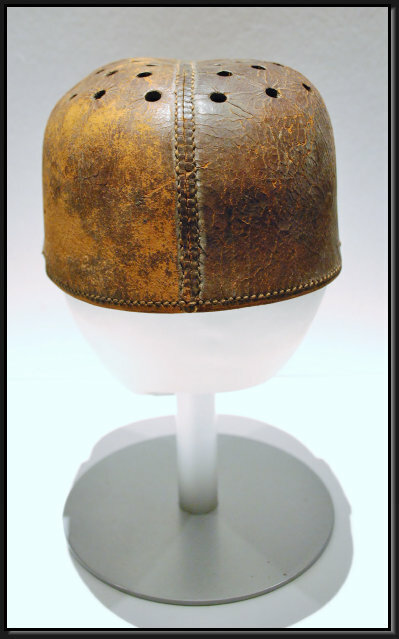 NP Nose Protector was introduced by Spalding in 1925 as a stand-alone face protector that could be worn underneath a leather football helmet. It was by Spalding for $10.00 until the mid-1930's. 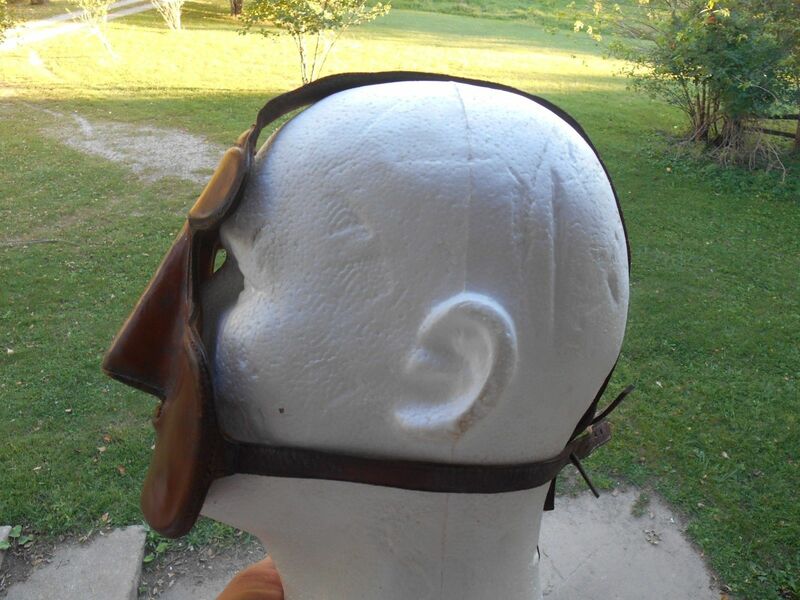 The mask was constructed of a leather-encased, rigid fiber board that was "designed that it will not flatten out no matter how hard a blow the player may receive on nose." Spalding also manufactured a second No. NP variant that could be attached to the Spalding No. ZH helmet at the forehead as shown in the illustration below. The combination of No. ZH and the attached No. NP Nose Protector was sold as the No. ZHN between 1926 and 1929 for $18.00. In 1930, Spalding replaced the ZH/NP combination with a full mask executioner helmet that was also dubbed the ZHN. 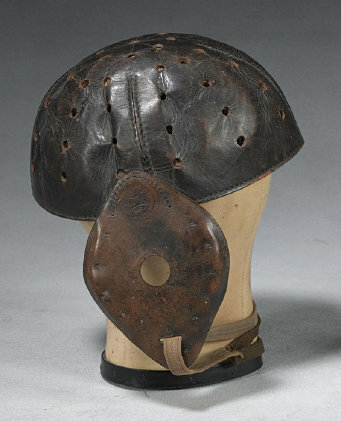 Executioner helmets were sold until the late 1930's when rubber covered facemasks were introduced. 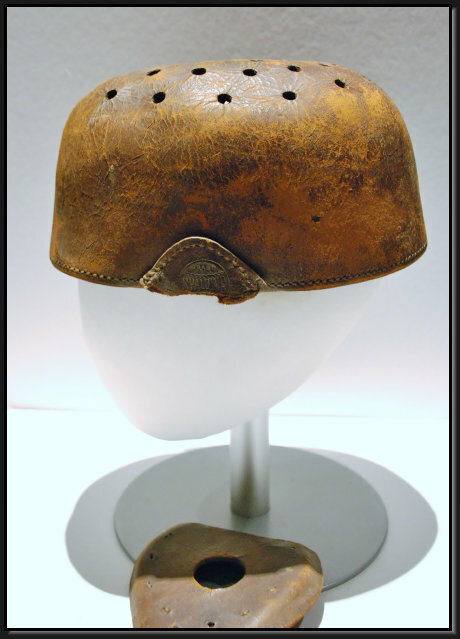 Nose protectors were worn primarily by linemen susceptible to nose injuries and surviving examples are rare. The masks were unpopular because they were uncomfortable, hot, and limited visibility.